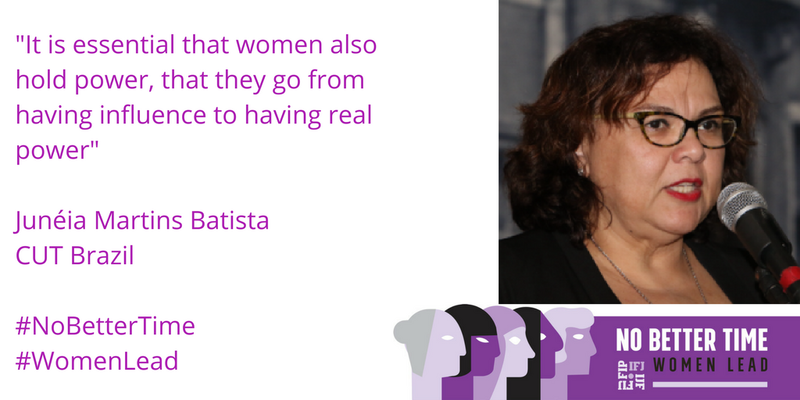 The number of women working in media continues to grow. They are working in all facets of the industry and their numbers are strengthening. Yet they are still not leading in journalist unions. This has to change. 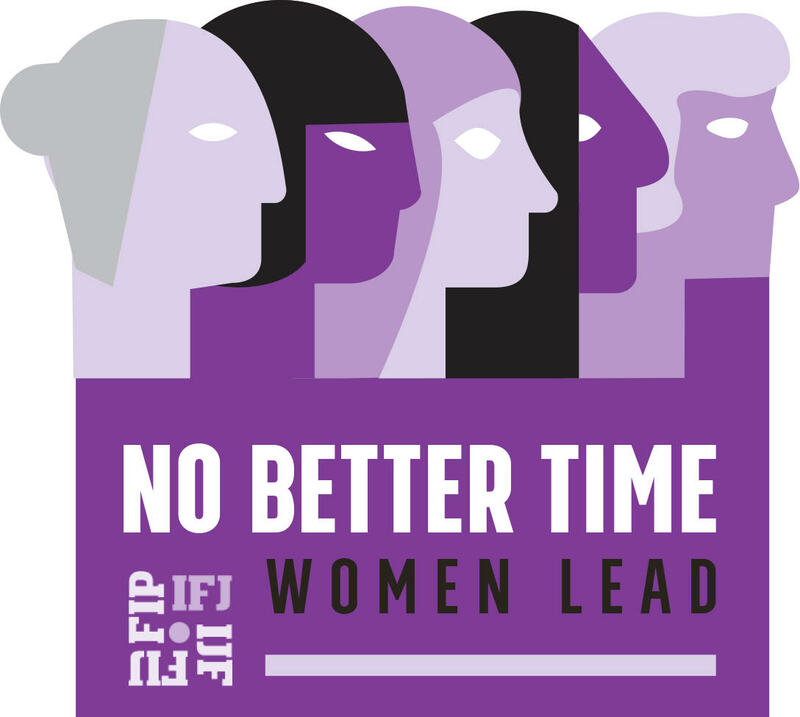 There is no better time – join our campaign IFJ Women Lead. 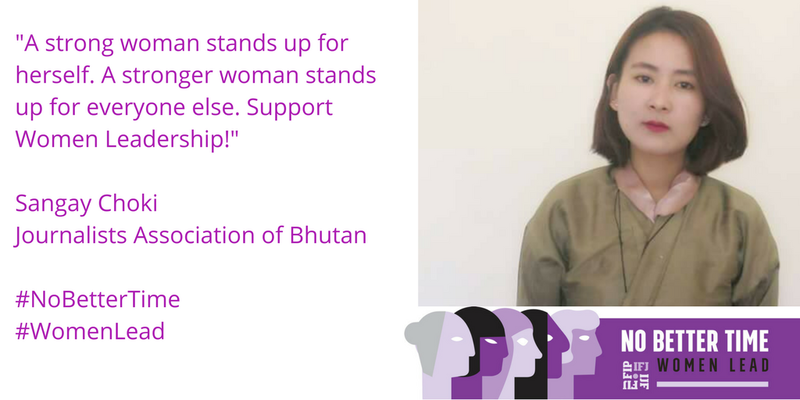 On average, only 28 per cent of members in media unions and associations in the Asia Pacific are women; and the presence of women in executive committees and decision-making bodies is only 22 per cent. 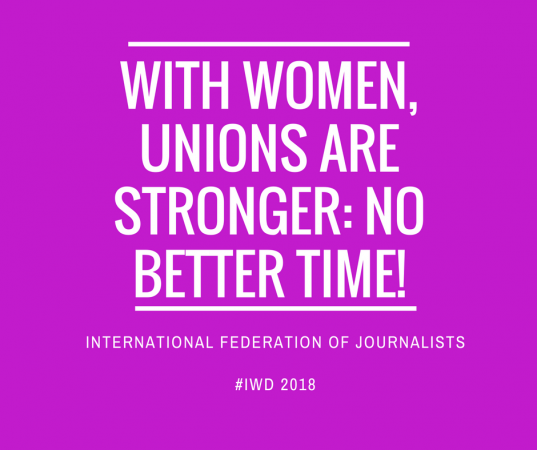 According to a recent IFJ survey, wide variations exist in women representation, with some unions having 58 percent women in executive bodies, and some with not a single woman on the decision-making body. Conservatism and patriarchy still remain major barriers for women’s leadership in media unions and associations in the region. 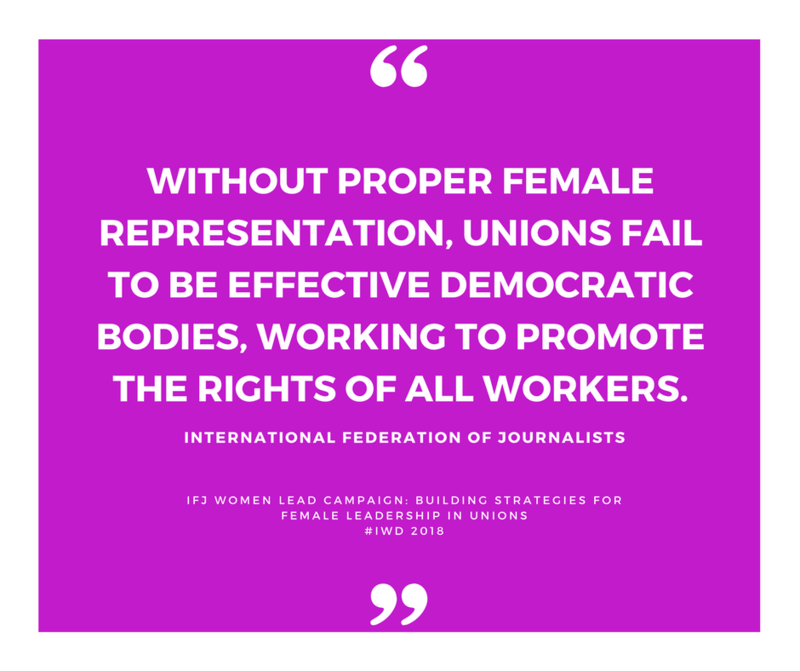 At IFJ, we believe that for women to claim their rightful place in the media and unions, unions must tackle head-on the lack of gender equity and adopt best practices in order to strengthen the numbers and voices of women in unions, especially in leadership roles. 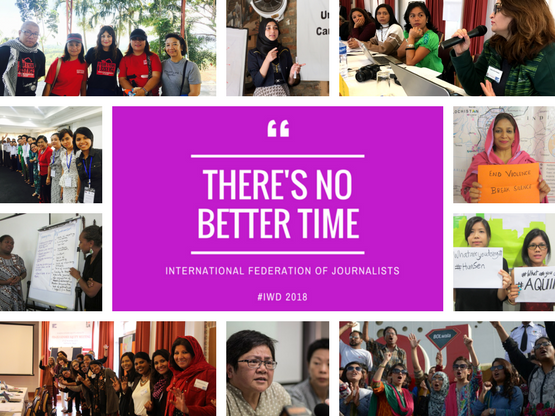 On International Women’s Day, March 8, 2018, the International Federation of Journalists, Asia Pacific (IFJ AP), launched a regional campaign to increase the presence of women in media unions and associations, especially at the decision-making level. Why gender must matter to unions? Leadership and capacity building for women unionists must be prioritized while recruiting and retaining young – particularly women – unionists especially freelancers, contract workers and bloggers in keeping with newer trends in media employment. 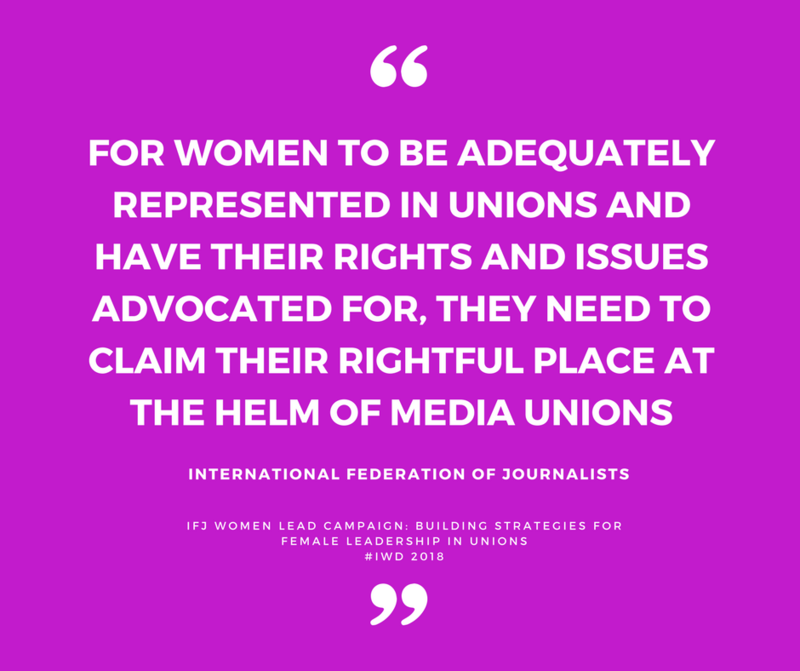 Media unions must be the change they wish to bring about and take a lead in making gender equity a reality. Specific measurable targets and steady progress will further the goal of gender equity in media unions. Recruit more women members by measuring progress against a checklist for union action on gender equity in the workplace, including salary reviews with employers, promoting best practice in payment agreements and reducing the gender gap. Proactively increase women’s union representation through quotas or proportional representation for participation in congresses, executive bodies, committees, negotiation teams, education and training. Amend constitutions and statutes to include reserved or additional seats for women on executive and decision-making bodies. Institute family friendly policies and build capacity of women members to occupy leadership roles. Implement union gender equity and anti-sexual harassment policies. Act Now! Join the Campaign!